says Labour Leader Mahendra Chaudhry. Just before leaving for yet another overseas jaunt, this time to watch the Rugby 7s World Cup, PM Bainimarama has been politicking hard using every public forum available to him to solicit votes and demean opposition political parties. He spoke at Ra at a so-called roadshow – just another gimmick invented to campaign and unleash propaganda at public expense. He has tried to woo voters by boasting about his government’s so-called achievements. The Bainimarama government has left a legacy of crippling national debts, more and more taxes and rising costs of living after 11 years in government, says Labour Leader Mahendra Chaudhry. The government’s boasts about its so-called achievements have to be viewed against the crippling debt burden it is leaving for the taxpayer. To service these debts, it has imposed a host of hidden taxes on the people – the Environment Tax, the Road Levy, telecommunications taxes, 20c tax on plastic bags, and increased fees and charges for a range of government services. All professionals including teachers now have to register each year to get an annual practising licence which costs a fee, the cost of basic food items and medicines have gone up with the imposition of 9% VAT hitting hard the pockets of the poor. These were zero-rated under all previous governments. Rural neglect has worsened in the past 11 years of his government. Rural poverty stands at 40% overall with areas in the North experiencing levels of around 50%. Even in Suva, poverty among the lower paid workers is officially put at 53%. Agricultural production suffered serious setbacks with cane and sugar down 50% compared to 2006 levels. Timber production has declined while the fisheries sector has virtually collapsed as a result of mismanagement and indiscriminate issuing of licences. Workers are facing their worst crisis in years with the government deliberately suppressing pay increases for those in the lower income group, and imposing a paltry $2.68 an hour as national minimum wage. Trade union rights have been circumscribed particularly in the public sector where workers were forced to accept temporary short term employment for pay increases awarded under a job evaluation exercise. Indeed, under Bainimarama’s 11-year rule, the ordinary people are worse off facing the highest cost of living on record while poverty, unemployment and crime remain serious social issues. There is an acute shortage of affordable housing for low income earners forcing more families to live in unhealthy squatter areas. Youth unemployment stands at 25% (highest ever) and crime rate continues unabated. “The Bainimarama government has taken no initiatives to strike at the root causes of the worsening social conditions in our society. Indeed it is has shown no real vision for improving the lot of our ordinary people or enhancing the incomes of people in the rural sector,” Mr Chaudhry said. “If people vote the Fiji First back into government, they will simply get more of the same. In fact, it will be worse because the handouts which are just vote buying gimmicks will disappear,” Mr Chaudhry said. “People must understand that had it not been for the four coups which have set us decades back as a nation, Fiji would have progressed a great deal more and people would have been much better off than they are today. “People have to be cautious of promises made by coup-makers. 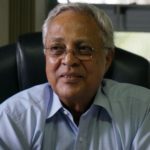 They must not forget that the Bainimarama government has robbed them of much of their freedom – the right to express themselves freely, their civil and political liberties, their democratic institutions, their right to free, fair and credible elections, and imposed a climate of fear and intimidation,” Mr Chaudhry said.